Our newest cabin, built in 2007, is a humble abode nestled on the west shore of the crystal waters of Clear Lake. 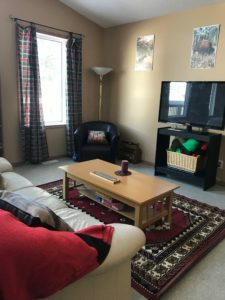 The cabin is situated on Camp Wannakumbac grounds, bordering Riding Mountain National Park and just a short walk away from the water. During your stay enjoy exploring one of the many trails here at camp or in the park. Take some time to unplug and get out in nature, as there is limited wifi and cell service (depending on your provider). If you are looking for a quiet, back to basics weekend away from the hustle and bustle of daily life, this is the place for you! Evergreen is a cozy, rustic cabin, great for a quaint weekend at the lake. There is a full kitchen for your use, as well as one double bed and a bunk bed. We stock basics like coffee, and offer the use of camp showshoes, cross country skis, kayaks and canoes (upon request, depending on availability). Perfect for a family or a group of friends looking for a quiet retreat! There are many ski and snowshoe trails nearby and ice fishing in the winter. Summer offers hiking, biking, canoeing, and kayaking. There is a good chance you’ll get a glimpse of some of RMNP’s abundant wildlife during your stay, from great grey owls to moose… the sightings are endless! 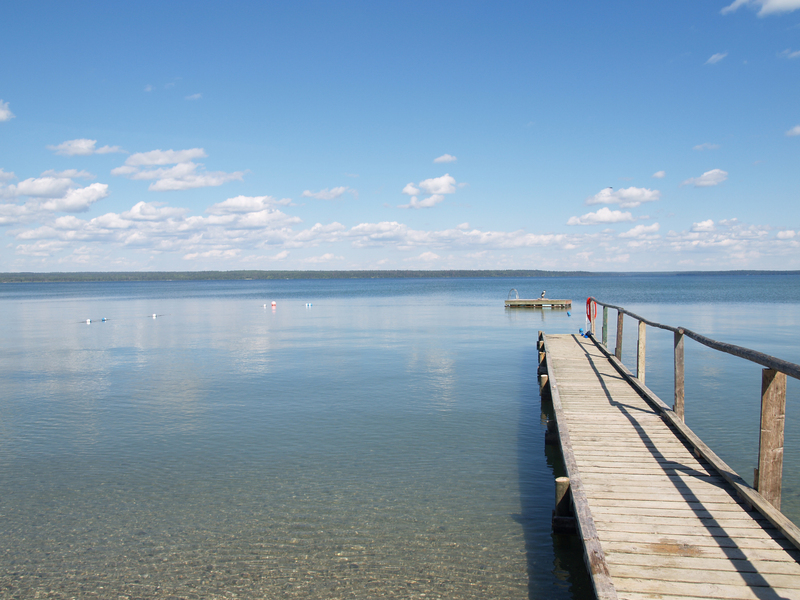 The cabin is a short 15 minute drive into Wasagaming where you can enjoy many shops, restaurants, and activities. During the winter months try stopping by the Friends Of RMNP shop and try out one of their fat tire bikes. We are also a short drive away from Lake Audy’s campground and bison enclosure. 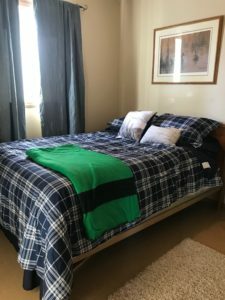 Evergreen is on Camp Wannakumbac/Riding Mountain Conference Centre grounds, so during your stay there may be other guests using the rest of the facility. This means you may hear and see other people around camp. However, Evergreen is your own private abode. All other buildings are off limits to guests staying in Evergreen. 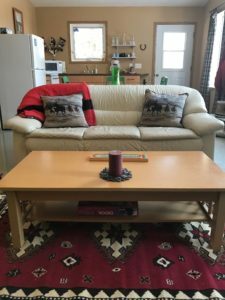 Booking and availability is accessible through Airbnb. Our listing is titled “Evergreen Cabin – Rustic Lakeside abode by RMNP”. You will also find more detail about amenities, the location, and other things of note during your stay. MB. Community Places, MB. Community Services Council, Thomas Sill Foundation, Brandon Area Foundation, Virden Area Foundation, and the Camp Legacy Fund.